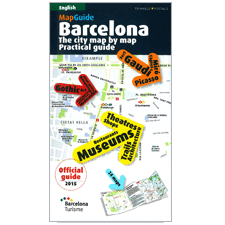 A practical, richly illustrated guide containing 20 fold-out maps featuring all the city's tourist attractions. 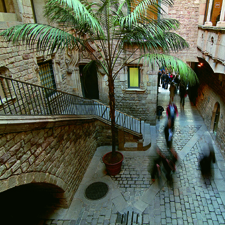 It also includes a selection of restaurants and shops. 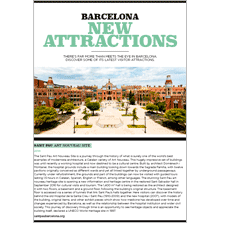 Thematic leaflets devoted to the city's main attractions. 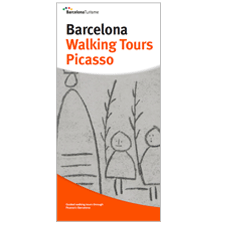 Thematic leaflets about Barcelona's UNESCO World Heritage Sites. 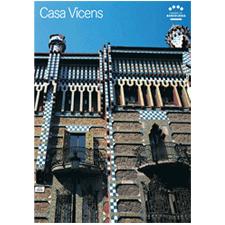 Brochure about the life and work of Antoni Gaudí. 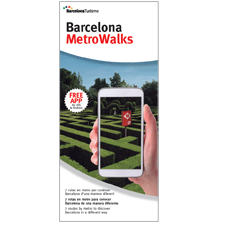 Leaflet/map showcasing what Barcelona and its surrounding counties have to offer tourists. 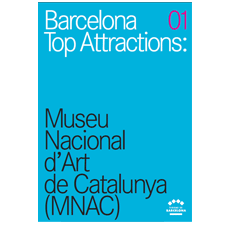 Publication featuring the opening of new areas of interest in Barcelona in recent years. 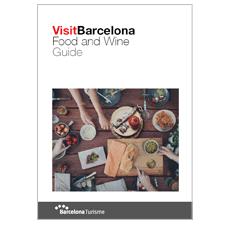 Guide featuring the restaurants associated with the Barcelona Food & Wine programme. 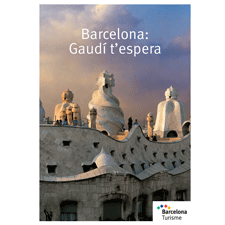 Catalan, Spanish, English and French edition. 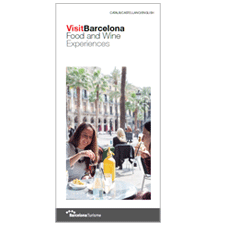 Fold-out leaflet featuring wine and food experiences and activities in Barcelona. 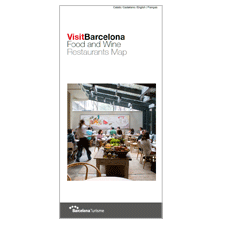 Fold-out leaflet featuring a map of the restaurants associated with the Barcelona Food & Wine programme. 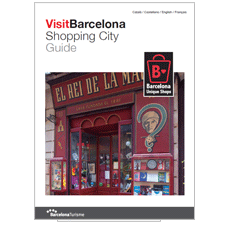 Guide featuring the shops, shopping centres and retail districts in Barcelona. 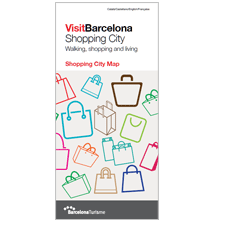 Fold-out leaflet featuring the shops, shopping centres and retail districts associated with the Barcelona Shopping Line programme. 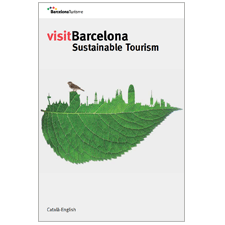 Guide featuring the establishments and services that enable visitors to enjoy the city in a more sustainable and accessible way. 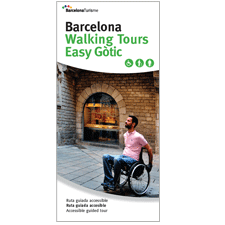 Brochure that features snow and mountain activities that can practised in the Catalan Pyrenees, in full nature and close to Barcelona. 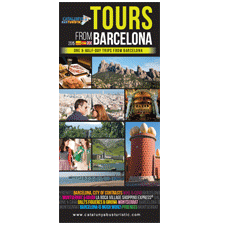 Leaflet featuring the main sporting events that are part of the Barcelona Sports programme. 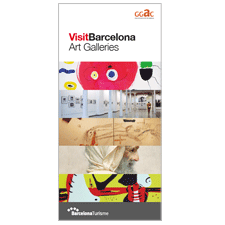 Leaflet including a map featuring Barcelona's art galleries. 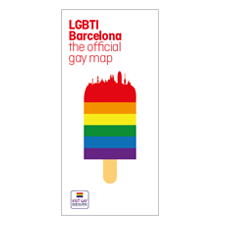 Leaflet featuring the culture and leisure offer for the LGBT community in Barcelona. 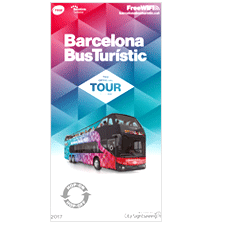 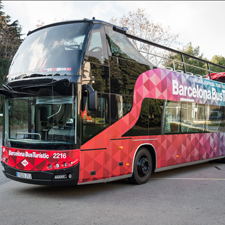 Leaflet-plan which will help you discover the city on the three Bus Turístic routes with the available discounts. 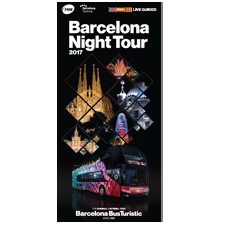 Night-time bus tour that takes you to the city's iconic floodlit landmarks. 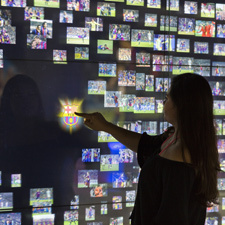 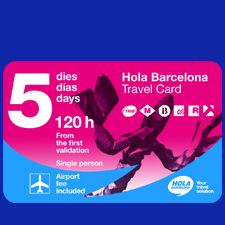 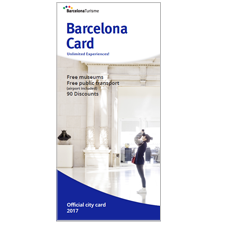 Plan your visit to Barcelona with the 3-, 4-, or 5-day visitor card featuring free travel on public transport, discounts and free offers at visitor attractions. 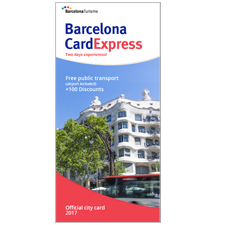 Plan your visit to Barcelona with the 2-day visitor card featuring free travel on public transport and discounts at visitor attractions. 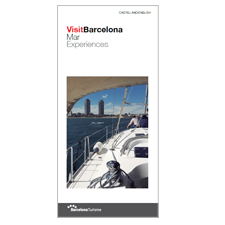 Enjoy, 60 metres above the ground, the best breathtaking panoramic views of the city and the port. 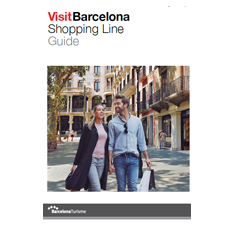 Guide featuring seven itineraries that you can reach on Barcelona's metro network. 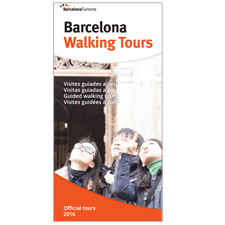 Descriptive leaflet about the four walking tours led by professional guides. 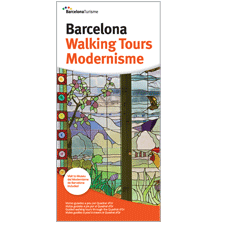 Discover modernista Barcelona on this walking tour led by professional guides. 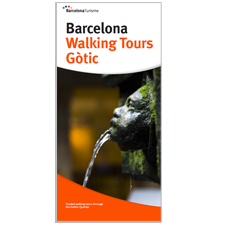 Discover Gothic Barcelona on this walking tour led by professional guides. 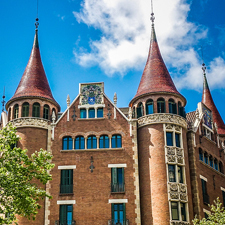 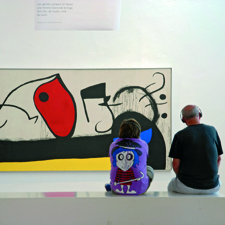 Discover the bohemian Barcelona where Picasso lived on this walking tour led by professional guides. 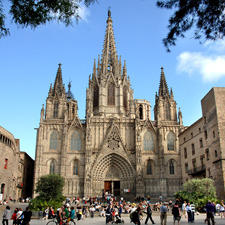 One-day trips from Barcelona to different landmark sights in Catalonia.